Bessie Ellen’s first leg back north to her summer cruising grounds. 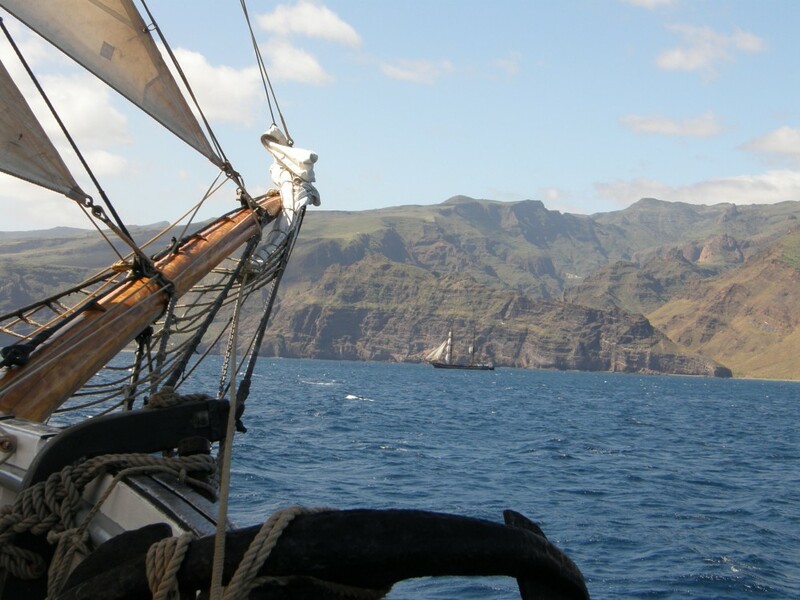 Join from Tenerife and and settle into watches for the sea crossing to Madeira & the Portuguese coast. This leg will require voyage crew to stand watches, steering and handing sail. A very good opportunity for those wishing to gain sea miles for yacht master. From Tenerife, we head towards Madeira, always a favourite, with her remote misty mountains and vibrant city culture its a place to hire a car for the day and tour at our own pace. Driving licence essential for car hire. Then it’s blue water sailing from the shores of Madeira as we head northwards to Portugal. As we are a sailing ship the wind is our friend and detailed plan will be made on the days before departure. 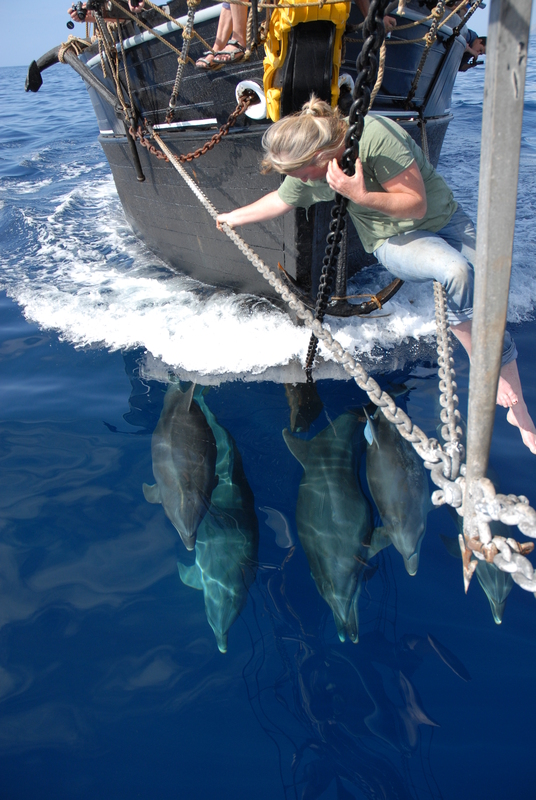 Rich in wildlife, this voyage should certainly deliver many species. Whales and dolphins are certain. The ocean wanderer, Cory shearwater cane seen nesting on Madeira. On La Palma, the indigenous canary pine swathes the upper slopes of the volcano,while Gomera’s rainforest, devastated by fire some 5 years ago is a wonderful place to see birds, lizards and other animals of the forest. Cascais is easily reachable from Lisbon by car or by train (30min), from the Cais do Sodré station. A return ticket costs approx 4€ and can be bought from the automatic ticket machines. Carris operate a bus between Cais do Sodre and Lisbon Airport every 20 mins. It is a yellow ‘Aerobus’ no. 1 and leaves from outside the terminal. Costs approximately €3.50 one way Cais do Sodre is the last stop. A car ride between Lisbon International Airport and Cascais takes 30 minutes. Jerez has much to see as does the ancient city of Cadiz. Wines and sherries are produced in the region and the bodegas are worth a visit. If you get a chance, the vibrant city of Sevilla should not be missed.